In July, the church was fortunate to be sent an experienced and dynamic new pastor, Rev. Mike Rouse. While new to Latta United Methodist Church, Rev. Rouse is not new to Dillon County having served for several years at Main Street United Methodist Church in Dillon. He has most recently served in Moncks Corner prior to coming to Latta. In the past, he has also served at McBee, Lancaster, Landrum, and Rock Hill. Rev. Rouse and his wife, Beth, currently live in Hamer. 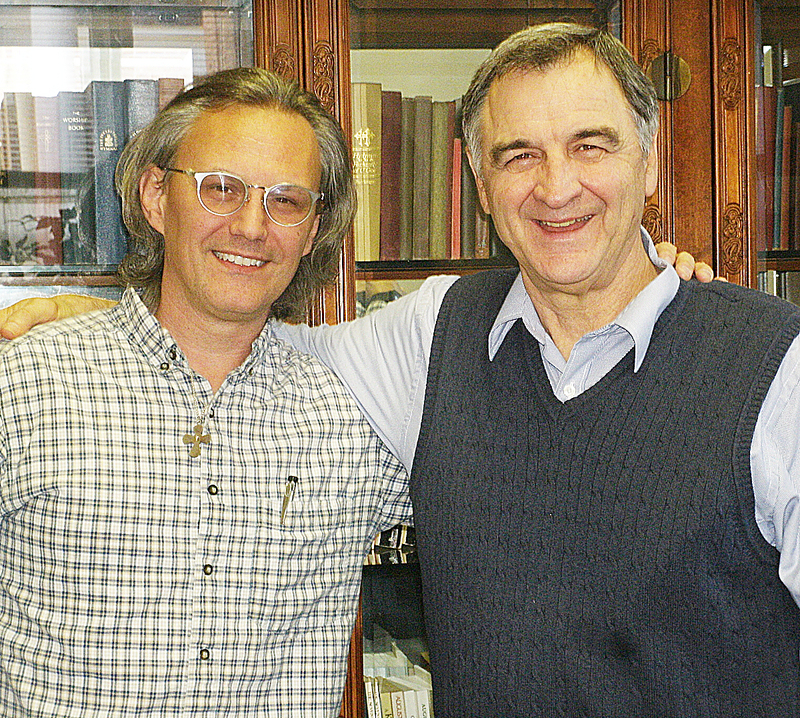 In November, Rick Kopituk came aboard as the Director of Youth Ministries. Kopituk, the son of Rick and Shirley Kopituk of Latta, grew up in New York and Louisiana. He learned a technical degree from The Recording Workshop in Ohio, a Bachelor’s degree from the University of Miami in Florida, and a Master’s degree from Westminster Choir College in New Jersey. For over 30 years, he has been actively serving in churches throughout the eastern United States. He and his wife, Polly, and their dog live in Latta, and their three children live in Arizona, New Hampshire, and New Jersey. An integral part of the church staff is Kathryn Carter, the church secretary. She has been on staff for approximately two years. Rev. Rouse and Youth Director Kopituk have many plans to help grow the church and increase its involvement in the world around them. “The world is changing,” said Kopituk, who explained that the church will be trying to adapt to meet the needs of a changing world and the community that they serve. Kopituk said they will be getting into the trenches whether it is helping to feed the hungry, helping a single parent and their kids, or assisting senior citizens with their various needs. Latta United Methodist Church will be the church that meets the needs as Christ called them to do. One of the initial changes made was changes to the worship service. Rev. Rouse said they are striving to have a more creative worship. The church bulletins underwent a complete overhaul. Communion is held monthly and more often during the holidays. There is a new focus on discipleship. Members are becoming a more active part of the worship service to help enrich their worship experience and to help them grow deeper in their faith. Changes have also come to the youth and children’s ministries. The UMYF (United Methodist Youth Fellowship) has been reinvigorated. The youth, grades 7 through 12, are meeting weekly at 6:00 p.m. on Sundays in the church fellowship hall. They recently went on a trip to Dollywood and have a full agenda planned for 2019. Kopituk is interested in developing a youth praise team. The children’s groups, the M&Ms and the MITs, are meeting on Wednesdays at 5:00 p.m. under the direction of Amy Roberts. A children’s choir has also been formed under the direction of Rick Kopituk. They had their debut performance at the Church’s Christmas Eve service. “My job specifically is giving kids a chance to explore their Christian faith and the impact to their lives,” said Kopituk. He said it will give these youth a chance to see themselves as Christians. The church as a whole has been participating in many activities. In September, the church had its first revival in a number of years, which was well-attended. In November the church completed a stewardship campaign that included daily devotionals and questions for thought. Rev. Rouse said they had a good response to this campaign. In December, the church had a Christmas Eve candlelight service that featured special music and readings by members, communion, and a candlelighting service. The church has several established ministries that they hope to continue to build. Rev. Rouse said the church has a good established music ministry. The senior citizens meet monthly for lunch as part of the Young at Heart group. The family ministry includes a monthly birthday dinner to honor members with birthdays. The church has an exercise class Monday through Friday at 5:00 p.m. The Women Praying For The World group meets at 7:00 p.m. on the first and third Wednesdays. The church also has two lady’s circles, and the Methodist Men have a ramp ministry and are well-known for their Vidalia onion sales. The church has been expanding their website, http://churches.umcsc.org/latta/latta, and church and community members can keep up with daily posts on the church’s rapidly growing page on Facebook®. The church office hours have also changed. The church office is open from 8:30 a.m. – 12:00 p.m. on Mondays, Wednesdays, and Fridays, and 8:30 – 2:30 on Tuesdays and Thursdays. If you do not have a church home, if you want a new church home, or if you are a former member who wants to come home, you are invited to come and be a part of the revival of Latta United Methodist Church. Sunday School is at 10:00 a.m. Morning worship is at 11:00 a.m. UMYF (youth) is at 6:00 p.m. The church is located at 306 North Marion Street, Latta. If you would live to make an appointment with the pastor or have other questions, call 843-752-5432.